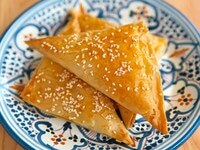 This step-by-step cooking tutorial will teach you how to make bourekas using filo (phyllo) dough. Filo can be purchased in most grocery stores in the freezer section. You can use any boureka filling you like– you will need about 1 cup of filling for every 9 bourekas. If you would prefer to make your bourekas with puff pastry, click here for a tutorial. 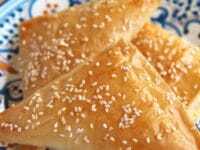 To learn more about the history of bourekas, click here. What is your favorite type of boureka? Leave me a comment and let me know! 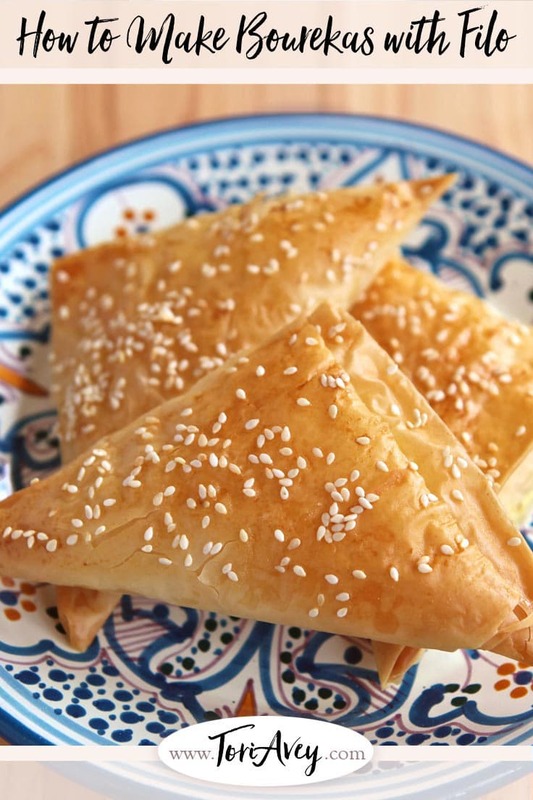 Learn to make bourekas with filo dough and your favorite filling with this step-by-step recipe. 2 hours before you begin, take your filo dough out of the freezer and let it defrost. You can also let it defrost overnight in the refrigerator, if you prefer. Preheat your oven to 350 degrees F. Lightly dampen a kitchen towel (don’t soak it! ), and keep it with you as you work with the filo dough. Unroll your dough. Filo sheets come in different sizes, so you may need to cut your sheets to size get the size you need. For each boureka, you want to create a double layer of filo dough that is about 4 inches wide and 14 inches long. Folding a smaller filo sheet (8×14) in half lengthwise is the easiest way to form this double layer. 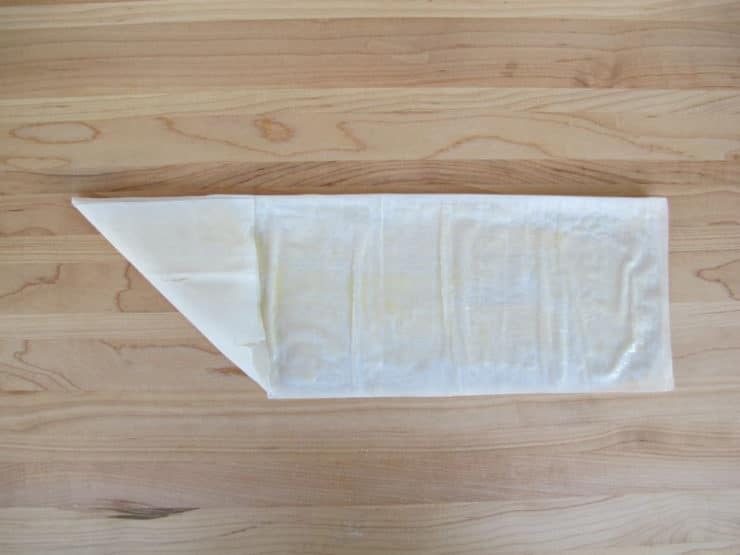 If your filo sheets are larger, use scissors to cut the sheet in half lengthwise to make two rectangular pieces. 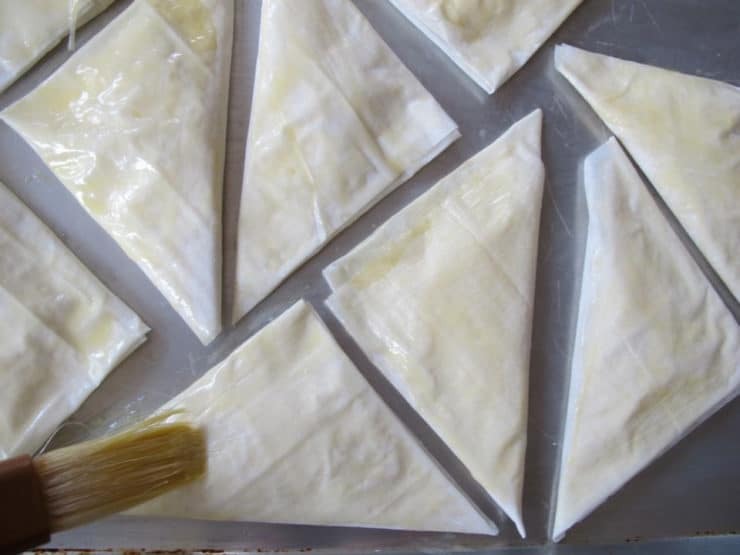 Then, fold each piece in half lengthwise to create the double layer of filo you need. 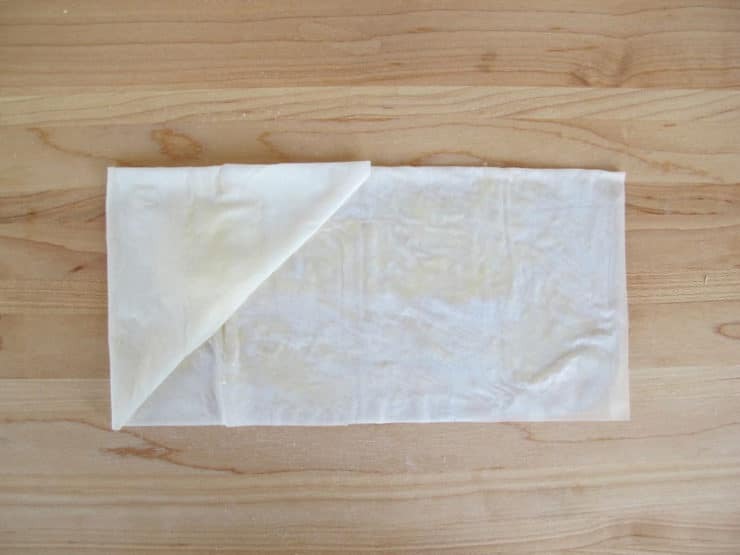 Keep the unused filo sheets under the damp towel as you work to keep them from drying out. 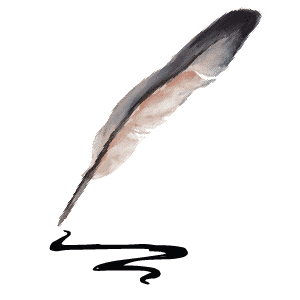 Filo is very delicate and prone to ripping, so if you’ve never worked with it before, be patient… rips will happen. It takes some time to get a feel for it. 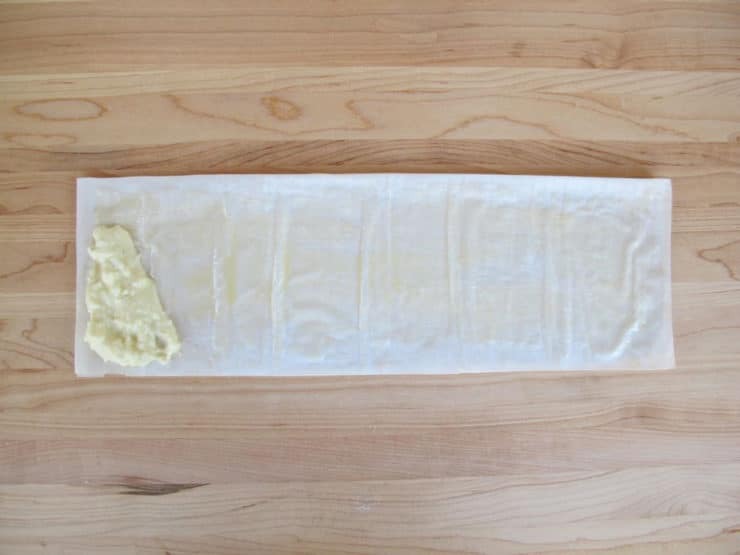 Use a pastry brush to paint a thin layer of melted butter or oil onto the surface of the double layer filo rectangle. Place 1 1/2-2 tbsp of filling in the lower left corner of the filo rectangle, following the left edge of the filo and fanning downward in a triangular shape. 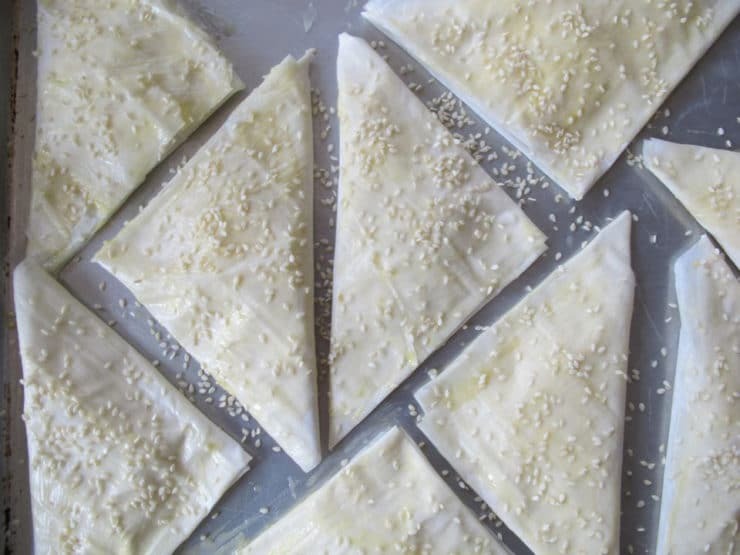 Fold the lower left corner of the rectangle up and over the filling to form a triangle of dough. Continue folding the filo in the same way you would fold a flag. 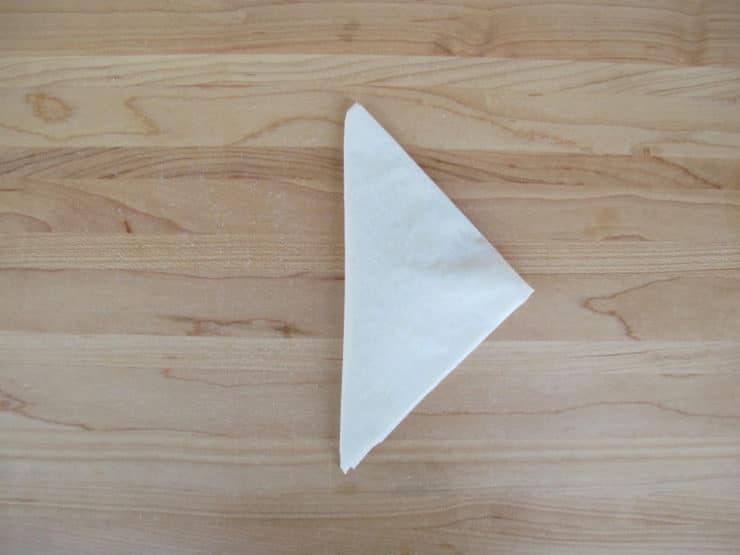 Fold the dough until till the entire strip is used up and a neat triangle pastry is formed. 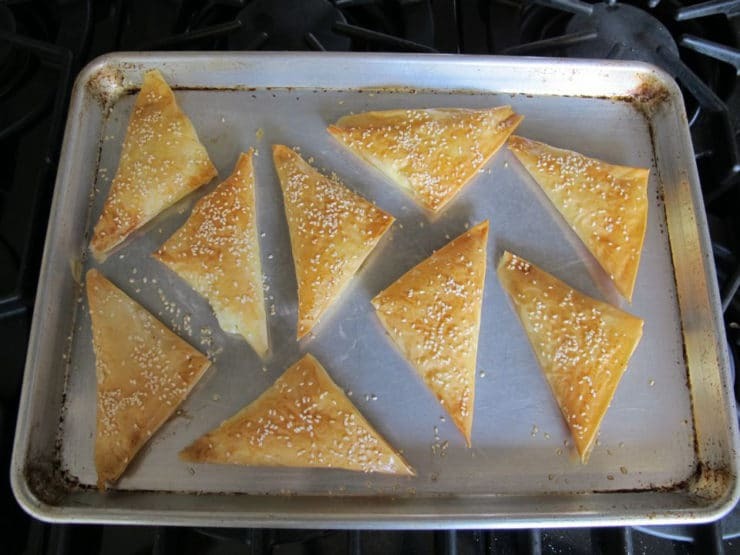 Place the folded boureka on a lightly greased baking sheet. Repeat process until all the filling is used up. You should end up with about 9 bourekas. Brush each boureka with another thin layer of melted butter or oil. Don’t brush it on too heavy, or the bourekas will become very greasy. Just a light layer will do it. Whisk together the egg yolk and water together till very smooth. Brush a very light layer of egg wash over the top of each boureka. Don't let the egg wash puddle or pool on the surface-- a light layer works best. Sprinkle with sesame or poppy seeds, if desired. Place the bourekas on the middle rack of your preheated oven. Let them bake for 20-25 minutes till filo turns golden brown and the bourekas are cooked through. Serve warm. Store in a sealed in an airtight Tupperware or plastic zipper bag. To freeze bourekas: prepare, fill, and seal the pastries. Do not coat with egg wash or bake. Place the unbaked pastries in a Tupperware or plastic bag in single layers, separating each layer of bourekas with a piece of parchment paper or wax paper to keep them from freezing together. Freeze. When ready to bake, take the bourekas out of the freezer (no need to defrost) and arrange them on a baking sheet sprayed with nonstick oil. Coat with thin layer of egg wash and sesame or poppy seeds, if desired. Bake at 350 degrees for 20-30 minutes till golden brown. I just made these but filled with traditional Christmas dinner leftovers…Turkey,sausage,stufoing, shouts and parsnips with added gammon and chopped boiled eggs… I usually make a large pie with puff pastry but wanted something for a new years buffet. … not sure that will last until tomorrow! !! I tried this recipe and my borekas came out too salty and oily. I greased the baking sheet with butter as well as brushing the filo dough with butter. (I thought I used a thin layer) Am I supposed to grease the baking sheet as well? Also I used Israeli feta and ricotta- maybe I put too much feta in the mix. It was almost inedibly salty. Hi Sara! Feta tends to vary in terms of “saltiness.” Some are much saltier than others, and if you doubled the feta instead of using the kashkaval, it may have been quite salty. Next time I would suggest omitting any extra salt you may have added, and cutting back on the feta while using more of the ricotta– try a 50/50 ratio to see how that works. As far as the bourekas being greasy, it does take a very light touch. Next time, you should be fine with not greasing the baking sheet and simply doing the thin layer of butter on the dough– do keep it very thin, though. Alternatively, you could try simply using the egg wash without brushing the filo– in this case, I would keep the baking sheet greased. Hope that helps! Hi! If I make these the night before a dinner where I plan to serve them, should I freeze them or just refrigerated them? Also, how long and at what temp do you think I should I reheat them? My daughter introduced me to bourekas. Her school served them twice a year. They are her favorite meal. You’ve inspired me to make them at home as a special treat! Love your recipes Tori! Too funny. We made these yesterday. May I ask you for the Galacto Bourekas’ recipe? it’s a very good Greek dessert. Thank you very much!!!! I have not made them for the blog Lissy, but I’ll keep them in mind for a future post! Oh wow, I have looked everywhere for this recipe, and now here it is, my Mom use to make these all the time for us. Can´t wait to make them oh the memories and yes indeed they are so delicious. Spinach and feta, served with dessicated black olives! My favorite is made with feta and parsley mixture. Halloumi can be a substitute for a milder cheese and some like a hint of mint/nana inside. I also make mine with a minced meat filling, preferably lamb. I have never made these before so they will be added to the recipes that I will be making during my 56 recipes in 52 weeks in celebration of my 56 th birthday!!! Cheese, meat, potato.. You can be very creative..
Oh…my grandmother used to make these all the time (we´re Sephardic). Thank you so much for sharing this recipe. Although these look so neat and tidy! I´m a big hit with my friends for making bourekas. I´ve done potato, mushroom and onion, and cheese but I´m about to experiment and make shepherd´s pie bourekas – filling of meat/onions and potato with usual sauce of Worcestershire/tomato. I like a combo of veggies and cheese in mine. 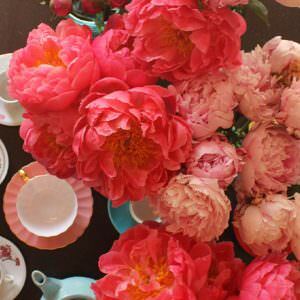 I´ve made these for my book club and got RAVE reviews!! I love all your recipes! What nationality are these? They look like Spanikopita! Look yummy! 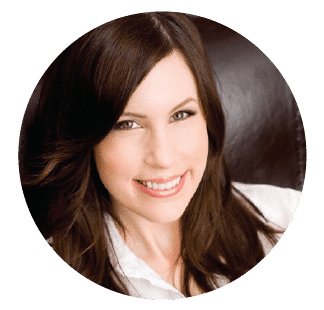 Anyway, I try to avoid eggs when possible–can I simply skip the egg wash? Thanks for the terrific insights, lessons and recipes. Hi Rachel– yes you can leave off the egg wash, but if you plan on adding any seeds they won’t stick to the oil very well, so best to leave the seeds off too. Also keep in mind that the egg wash helps to give the bourekas a lovely golden sheen; yours will be more pale. They’ll still taste great, though. Enjoy! You can use milk to get the golden shade. It is the dairy protein that is altered by the heat and creates the color. I am confused by your instruction of folding a smaller phyllo sheet in half to get the right size. Originally you said to use 4 x 14 and then mentioned if using a smaller dough (8 x 14) to just fold in half lengthwise. 8 x 14 is larger, that is why i am confused. help? Hi Sidney, you misunderstood my instructions, I’m sorry I wasn’t clearer. It’s kind of an awkward thing to explain, because filo sheets come in many sizes. 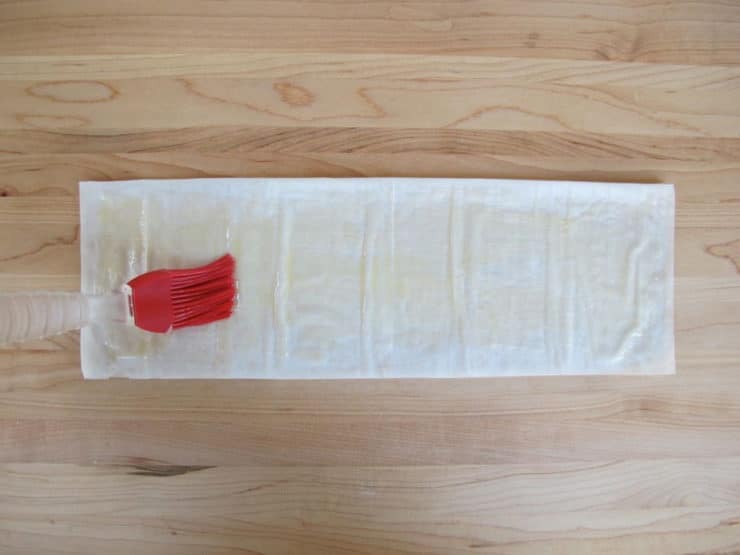 The main thing to remember, which will help you avoid confusion, is that you need two layers of filo dough– two long rectangles, if you will– that are about 4 inches wide and 14 inches long (4×14). The two layers should lay one on top of the other to create a double layer. No filo sheets are pre-cut to 4×14, so no matter which size you buy, you’ll need to either fold or cut to achieve the right size. 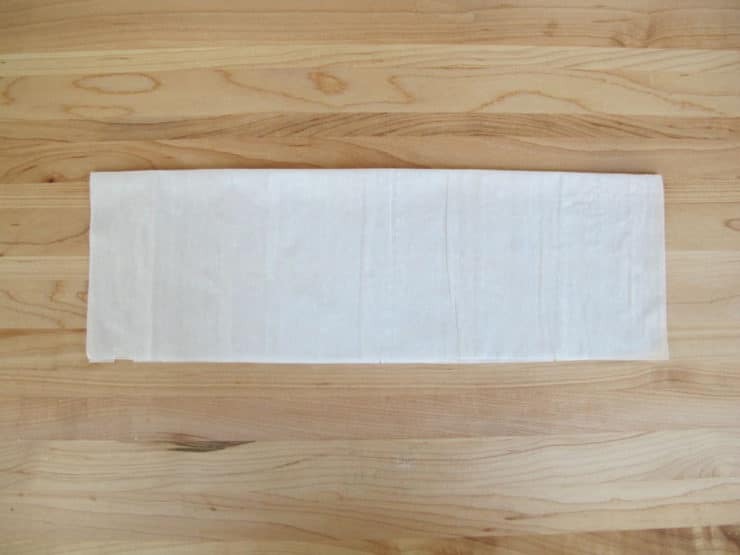 Small filo sheets often come cut in size 8×14, which makes things easy– all you would need to do for this size sheet is fold it in half lengthwise, which would cut the width in half (to 4 inches) while keeping the same length (14 inches), creating a natural double layer. If your filo sheets are larger than 8×14, you may need to measure and cut the sheets to achieve two rectangles that are 4×14. It doesn’t have to be exact, but try to get as close to that 4×14 measurement as possible, with two layers of filo for each boureka. Hope that makes sense! Thank you for this wonderful recipe. My grandma stayed with us two months a year and she used to make these by the trays! 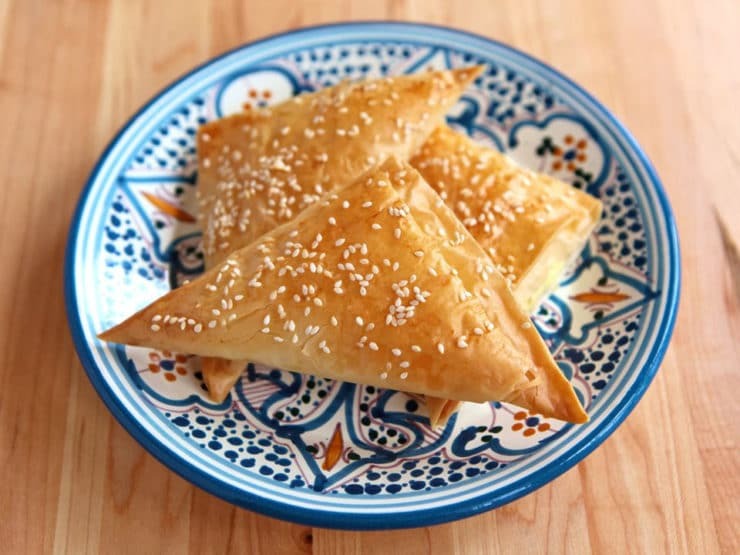 I would eat 6 – 8 bourekas a day every the They were in the kitchen ready to grab every time I ran in and out the door as a kid. 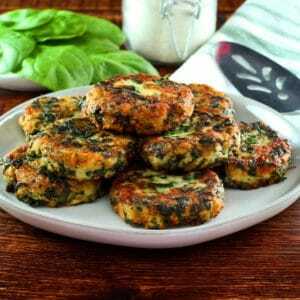 But I would wait 5 minutes to heat up the spinach ones which are my favorites! I just cant get enough of them! But then Grandma passed and my shiksa wife only made them once for me. But now you have empowered me to amke them again and even taste better Thank you! thank you so much for this delicious recipe! i made them last night, and they were a MAJOR hit – the family all loved them; especially my grandmother who is originally from egypt and a great cook – so thank you sooo much!!! Please, please write a cookbook incorporating all of these marvelous recipes which are written in crystal clear fashion combined with your (practically) HD photographs. I personally would buy two dozen copies for myself, for family and for friends. Thank you so very much for your beautiful work. Margaret, you are the best!! Thank you for saying that. I am working hard to get one on the shelves, I should have news in a few months. I’ll be sure to announce it on the blog as soon as there are any developments!